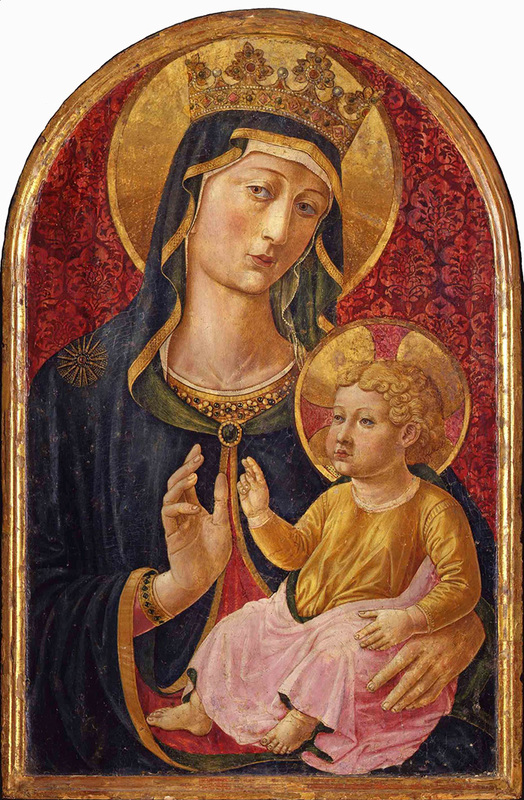 The Pinacoteca di San Gimignano will be hosting an exhibition devoted to the Florentine painter Benozzo Gozzoli (Florence 1420/21 - Pistoia 1497), one of the most representative and prolific painters of the Italian Quattrocento, starting 18 June. 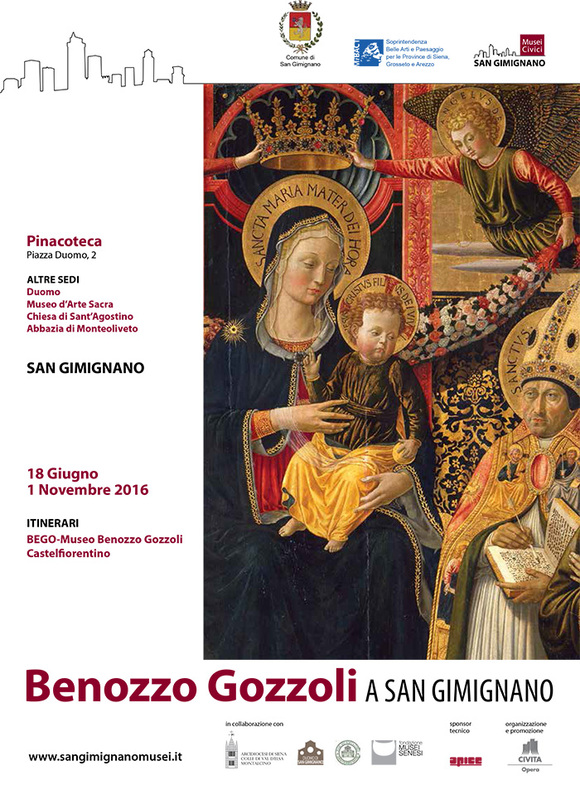 The exhibition, entitled Benozzo Gozzoli in San Gimignano, sets out for the very first time to celebrate and to thoroughly explore the artist's four years in San Gimignano, one of the most intense and productive periods in his long career. Curated by Gerardo de Simone and Cristina Borgioli, the exhibition is promoted by the Comune di San Gimignano and by the Soprintendenza Belle Arti e Paesaggio delle Provincie di Siena, Grosseto e Arezzo in conjunction with the Archdiocese of Siena, Colle di Val d'Elsa and Montalcino and with the Fondazione Musei Senesi. For the third consecutive year the synergy between these institutions is making it possible to add value to, and to further the study of, the works in the Pinacoteca's collection. After the exhibitions devoted to Pinturicchio. The Altarpiece of the Assumption in San Gimignano and His Years in Siena (6 September 2014 - 11 January 2015) and to Filippino Lippi. 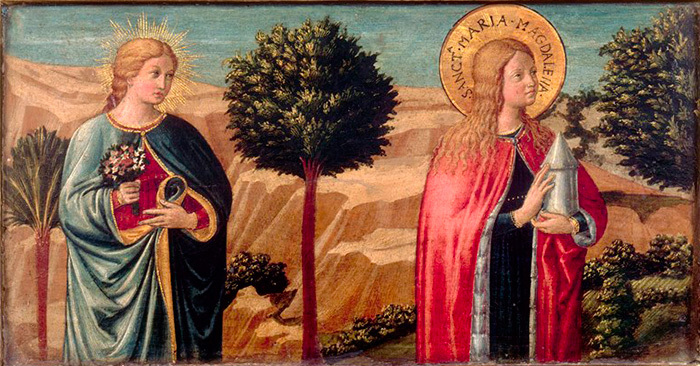 The San Gimignano Annunciation and His Work in the 1480s (13 June - 2 November 2016), this year the exhibition focuses on Benozzo Gozzoli's panel painting depicting the Madonna and Child with Angels, St. John the Baptist, St. Mary Magdalen, St. Augustine and St Martha which will be brought together in its entirety for the very first timethanks to the loan of the fragments from the original predella currently held by the Brera in Milan, the Musée du Petit Palais in Avignon and the Thyssen-Bornemisza Collection in Madrid. As Gerardo de Simone points out, the altarpiece "encapsulates the successful combination - characteristic of Benozzo's work - of the modern Renaissance sense of measure learnt at Fra Angelico's knee and the profusion of decoration, showing his rich and precious materials to advantage, that harks back to the late Gothic style of Gentile da Fabriano [...]". Benozzo di Lese - to whom Vasari attributes the family name of Gozzoli - was a flawless exponent of the perspective theorised by Leon Battista Alberti, which he conjugated with skilfully depicted realism and a sharp interest in both nature and the Classical world. 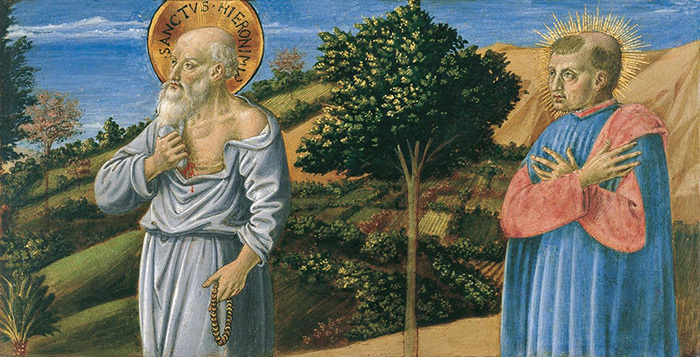 A pupil of two of the century's greatest artists, Lorenzo Ghiberti and Fra Angelico, with whom he cooperated on the "Doors of Paradise" for the Baptistry in Florence and in the Niccoline Chapel in the Vatican respectively, Benozzo went on to work as a master in his own right in Montefalco in Umbria (1450-2), in Viterbo (1453), in Perugia (1456) and in Rome where he designed and built the apparatus for Pope Pius II's coronation in 1458. The following year he was awarded the most prestigious commission of his entire career, the decoration of the Chapel of the Magi in the Medici Palace in Florence. He moved to San Gimignano from 1464 to 1467, before settling in Pisa when he was selected by the city's Opera della Primaziale, the cathedral's office of work, for the much-prized commission to decorate the Camposanto cemetery with Stories from the Old Testament. When Charles VIII of France invaded Italy, Benozzo left Pisa to spend the final years of his life between Florence and Pistoia, where he died in 1497. 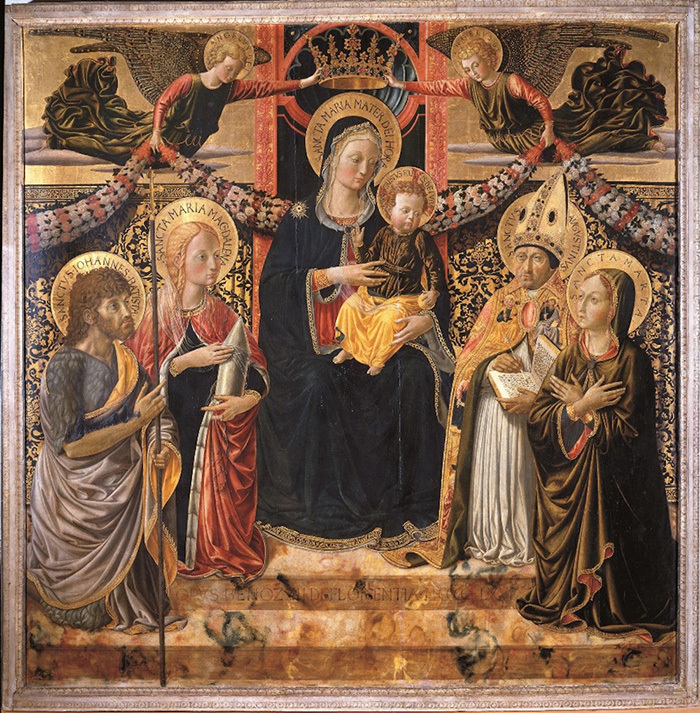 Madonna con Bambino, due angeli e i santi Maria Maddalena, Giovanni Battista, Agostino e Marta, tempera su tavola, 1466- 1467; Museo Civico (San Gimignano), proveniente dalla chiesa della Maddalena a San Gimignano. While working in San Gimignano, Gozzoli produced both frescoes and altarpieces. His frescoes included a cycle for the choir of the church of Sant'Agostino, the most important cycle ever dedicated to that church father, and an outstanding depiction of St. Sebastian, the saint whose aid was invoked against epidemics, wearing a long blue tunic and with his cloak held open by angels to protect the people from the soldiers' arrows, as an ex voto for the end of the plague in 1464. 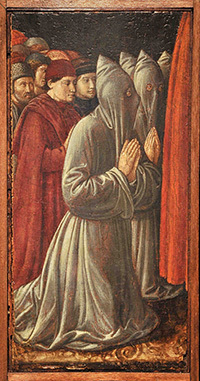 As Cole Ahl points out in his essay, the cycle allowed the painter "to raise the quality of his work and to receive numerous commissions in an area which, while open to innovation, was devoid of the merciless competition typical of larger cities; for San Gimignano, Gozzoli's presence meant opening up to the major artistic and architectural transformation under way in Florence, which was to be such a major feature of art patronage for the rest of the century". While in San Gimignano, Benozzo also produced two Crucifixions, one for the Olivetans which is still in situ and the other for the Palazzo Comunale (now in the Museo di Arte Sacra), where he also restored the civic community's most emblematic image, Lippo Memmi's Maestà, in 1466. 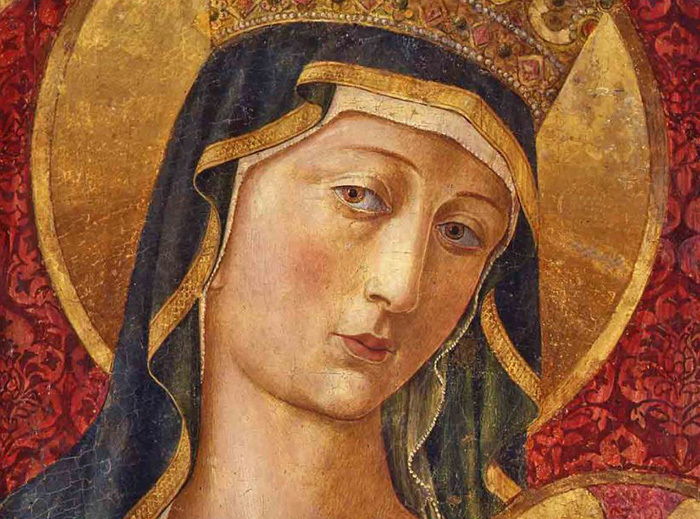 He also painted two altarpieces, one for the church of Sant'Andrea and the other for Santa Maria Maddalena, both of which are now on display in the Museo Civico and both of which partake of the "square" format in the modern Renaissance style inaugurated by Fra Angelico. The exhibition aims to provide a complete reconstruction of Benozzo's entire rich and variegated output in San Gimignano, a result of the extraordinarily efficient way in which he ran his workshop. The Pinacoteca and a part of the Museo di Arte Sacra will host every single one of the works that Benozzo is known to have painted during his years in San Gimignano: in addition to the pictures discussed above, these include the superb small Terni altarpiece of 1466, the fragment of the Madonna of Mercy formerly in the Bardini collection (now in a private collection) and the iconic Madonna and Child from Calci, testifying to his subsequent lengthy stay in Pisa; at the same time, visits will also be arranged to inspect his fresco cycles in the Collegiata, the church of Sant'Agostino and the Abbey of Monteoliveto. And the exhibition also provides for the possibility of exploring the figure of Benozzo and his work in greater depth at the BEGO - the Museo Benozzo Gozzoli in Castelfiorentino. 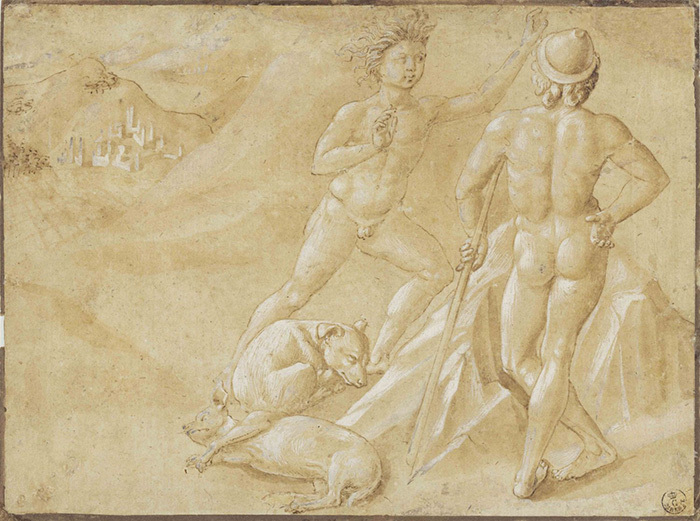 The importance and the quality of Benozzo's graphic work - he was one of the most active and productive draughtsmen of the century - will be illustrated by two drawings from the Gabinetto Disegni e Stampe degli Uffizi produced in and around the years in which the artist was living in San Gimignano, pointing up his interest in Classical antiquity and in Flemish painting. The comprehensive picture of the context in which Benozzo worked, and in which he forged close ties with the world of the applied arts, will be enriched by the inclusion in the exhibition of a broad selection of precious liturgical fabrics and examples of the goldsmith's art of the day, including the crimson velvet altar frontal embroidered with a flight of golden doves which Benozzo used as the model for the cope worn by St. Augustine in his altarpiece for Santa Maria Maddalena and which Cristina Borgioli has argued is a sophisticated example of the rich textile endowment owned by the Collegiata in San Gimignano. The precious altar frontal, showcased in the rooms of the Pinacoteca together with other liturgical fabrics and with several examples of liturgical goldwork in the Museo d'Arte Sacra in San Gimignano, will thus interact with the paintings to produce an ideal portrait of the multifaceted artists' workshops of the 15th century, extending the visit to the exhibition by linking the two museums. And finally, the exhibition will also offer a reconstruction, based on the city's archival records, of the sums earmarked for, and paid to, Gozzoli by the municipal authorities and by the Collegiata. The exhibition, "thanks to its lofty scholarly content, offers itself as a tool for adding value to this outstanding artistic and territorial heritage... and provides an opportunity for cultural enrichment and for the nourishment of our souls, thus strengthening our identity". (Anna Di Bene, Soprintendente Belle Arti e Paesaggio per le Provincie di Siena, Grosseto e Arezzo, Felicia Rotundo, Funzionario Storico dell'Arte). And as Fr. 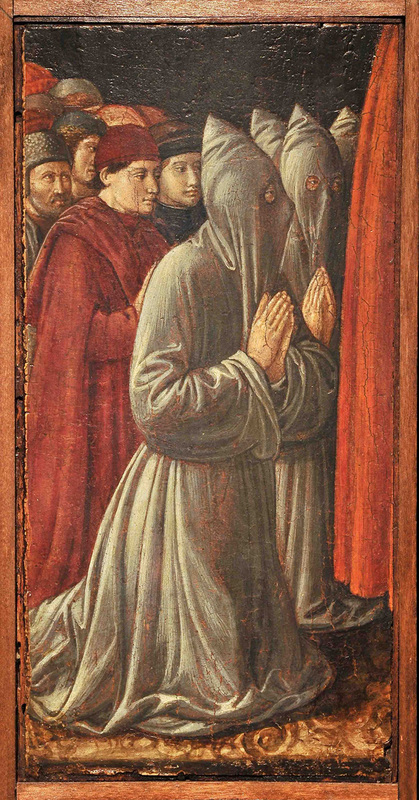 Andrea Bechi has stressed, the exhibition "does not simply let us enjoy the splendid work of an artist, it allows us to enter a distant world, though possibly closer than we think, which urges contemporary man to look with greater confidence at the present, as both Augustine and Benozzo proved capable of doing, bringing their outstanding human skills and Christian hope into play in order to make a positive mark on history". The exhibition is also linked to a series of cultural events strongly supported and promoted by Giacomo Bassi, the Mayor of San Gimignano, and by Carolina Taddei, the Councillor for Cultural Affairs, with the coordination of Valerio Bartoloni, the Director of the Municipal Cultural Services Department, with the intention of enhancing and promoting the city's Civic Museums. The exhibition is organised and promoted by Opera - Civita Group and the catalogue is published by Giunti Editore SpA. Narrative fresco cycles by Benozzo Gozzoli | This tour presents three narrative fresco cycles executed by Benozzo Gozzoli in Montefalco (Scenes from the Life of St Francis, 1450-52), in Florence (Procession of the Magi, 1459-60) and in San Gimignano (Scenes from the Life of St Augustine, 1464-65). Detailed biography of the artist is given and the subjects of the cycles are discussed.